This is the Stone of the Wise, the Philo-Sophia Stone, the Love-of-Wisdom Stone, the Stone of the True Care for Wisdom, the Wisdom of Right-Action. It is all about doing Right, living in Truth and Morality. That is the True Self. Self works through Matter towards Unity Enlightenment with Truth & Morality of the Higher Will. Unity Consciousness in Unity with Truth and Morality to get to Unity Foundational Living in the Aggregate Co-Creation. I came to decode this while working on something else, the Natural Law Boundary Conditions infographic. I have never studied the philosopher’s stone myself. I came to this understanding on my own through Natural Law. 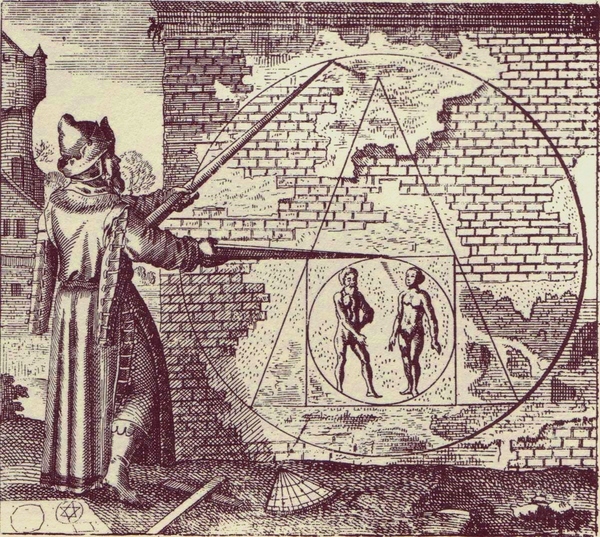 All you need to do is understand the substantive essences of reality, of symbols and concepts, and you can understand alchemy without actually studying alchemy directly as put out by other people. This may not be the original meaning of the Philosopher’s Stone, or maybe other people have discovered this meaning as well, but either way, what I have found from my other work applies very well with the Philosopher’s Stone symbol and descriptions from others. I wrote this when I made the Natural Law Boundary Conditions infographic, and saw what the Philosopher’s Stone can likely represent. The decoding of the philosopher’s stone I found fits well. Circle – infinite – spirit, etc aspects. Square – finite, universe, material, physical, body, etc aspects. Triangle – Trinity, Unity aspects, bridge between two, getting to three from two and back to one. In the Natural Law Boundary Conditions, I show how “squaring the circle” the right way is when the circle fits into the square, it fits into the boundaries of Law that creation has set for behavior and the natural world. To try to be a “god”, overstepping the boundary conditions on the physical plane area of the square in the finite, is to decide what Truth and Morality are in the finite. To make up the Law yourself is not possible. One is humbled by the Natural Law Higher Will and lives in its boundaries for our own benefit, betterment and forward positive evolutionary progress. The other is overstepping free will to produce wrong-action and negative effects as a result, to make and live by our own law, as a god and arbiter of truth. and you will have the Stone of the Wise. Self works through Matter towards Unity Enlightenment with Truth & Morality of the Higher Will. [1.] The first circle at the interior represents the man and woman, as soul or “spirit” aspects, in the physical world of the universe. This is the circle of man in the physical, the “spirit’ in the physical. Even though the material is also at a fundamental level the “spirit” as well, please distinguish from the “spiritual” component of the immaterial internal nature of consciousness-self and that of the fundamental “spiritual” unseen immaterial nonphysical layer of ALL everything. This first circle is likened to the “spirit”, because consciousness-self is unseen, internal, metaphysical, etc. Consciousness of the individual unit is represented by this circle. It is the micro minor aspect of “spirit” to the higher macro major aspects of “spirit”. This micro manifestation of the “divine spark” is personified as man and woman. They are manifested into the physical realm, which is the square of the Natural World. The man and woman that are put into this first circle, are the masculine and feminine components of our being that are put into the individuated consciousness-self as part of existence and experience. The goal here, as it was described in NL Boundaries, is to use our Free Will to develop True Care and Evolve Consciousness as we progress, but to first become a Sovereign Ruler of the Self, to have our inner reality united in internal harmony, which is our thoughts, emotions and actions in harmony with each other to unify the self. [2.] The square encloses the first circle. This square is the finite that encloses the expression of “spirit” as an individuated unit of consciousness, gifted with the Force of Free Will. One particular expression of the finite is that of man, our human bodies that enclose the expression of consciousness and allow it to manifest externally. The body is the vessel and temple for consciousness, and cleansing of the body is helpful in the evolution of consciousness. The universe is also the physical and finite, as the body is, each the macro and micro of the physical respectively, instead of the macro and micro of the nonphysical which is the “Spirit” and consciousness respectively. The Natural World is enclosed by Natural Law Boundaries that govern the physical universe and the consequences to behavior of the individual units of consciousness. One such Law is gravity. Another is Cause and Effect. Another is Morality. There are more. These are the laws governing the physical universe, and their application applies to different domains, and sometimes is multipliable to many domains or fields of affect. Cause and effect applies in many ways as well, across many “dimensions” of experience, physical and nonphysical. Gravity is another law that crosses with cause and effect as well, in the physical aspect. If you walk off a cliff, the cause, the effect is you fall to your death most likely. Morality is another law that interacts with cause and effect in the physical through our behavior. The first circle, our consciousness, is in the square of the body, in the physical universe that is governed by Natural Laws and the boundary conditions set forth therein. These are rules and limits to be learned about. If we try to cross them, we shall feel the consequences to our actions, and reap the effects of the causes we sowed. The goal here is to merge our perceptions of reality with the actuality of reality as it is, rather than continue to live in illusions. [3.] The triangle is about union and achieving higher degrees of awakening and enlightenment. The triangle can be seen as a representation of 3 aspects, or a unity of two to create a third, and often the two to be united may be opposed and in conflict. This is also when the masculine and feminine components that are in the “lower” self of the first circle, can get developed and fully realized. The trinity is a union of the body, mind and spirit. It is also the unity of mind-heart towards enlightenment, and left masculine and right feminine brain towards the true vision of the one eye, essentially both mean the same thing. The triangle is also the union of our expressions of consciousness, thought, emotion, action, Unity Consciousness. The Trinity of Consciousness. Also, you get to higher consciousness through the unity of body-matter and mind-heart-consciousness, and through the other unities of trinities, i.e. you get to the “spiritual” perspective, an elevated position where you can see things more clearly, from above so to speak, above the playing board, seeing how the mind control works, how the illusions intertwine to form the web or matrix of deception and illusion. Reality is in more detail to understand what is going on and how to get to higher grounded existence in this reality, to make our lives better by creating a world of True Freedom and Peace, of Morality and Truth being harmonized, aligned and united with. Unity Consciousness in Unity with Truth and Morality to get to Unity Foundational Living in the Aggregate Co-Creation. All these unities and others, are expressing different aspects of what is required to reach levels of higher consciousness as symbolized by the last circle of macro “spirit”, to continually grasp and embody aspects of Truth and Morality, aspects of the Higher Will and Higher Self. [4.] The last circle is the “spirit” “higher” form, i.e. 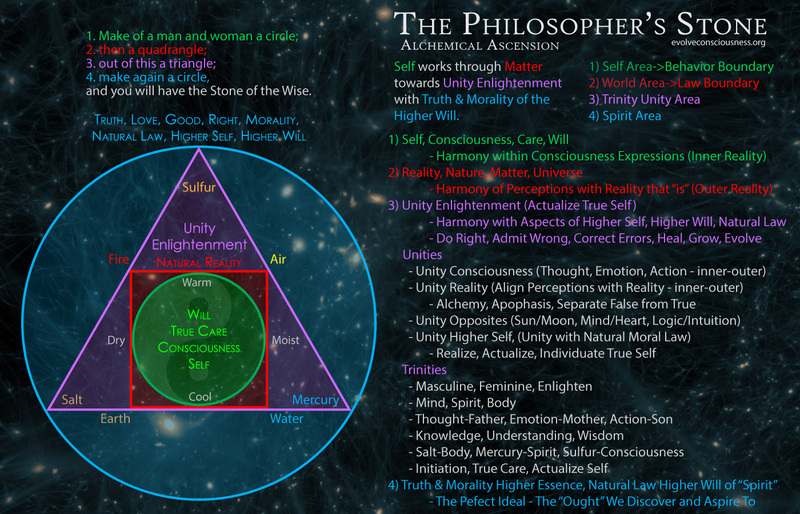 the macro whole “ALL ONE” conception from where all Laws come, while the first circle was the “spirit” “lower” form, i.e. the micro individual unit of consciousness. The unity of the sacred masculine and sacred feminine components within us will produce the higher consciousness of service to Truth and Morality, as the ultimate way to help ourselves and others. This is because the Natural Law is the Higher Will. The Higher Will is the Higher Self. The Higher Self is the True Self. We become more who we truly are at our core substantive level of being, rather than the falsity of the current illusory reality we live in. This is what I mean when I say and have been teaching about exemplifying, living, expressing, being, embodying, realizing, actualizing and individuating ourselves in harmony and unity with Truth, Love, Good, Right, Morality, Natural Law, True Self, Higher Self, Higher Will, Spirit, Source, God, ALL, ONE, etc. They are different levels of expression, different facets of the same thing. People in all of human history have been describing aspects of the same thing, from different perspectives. I have been fortunate enough to grasp some correspondences and interconnecting pattern recognition between the various aspects, particulars, attributes, qualities, properties and characteristics of the variability, diversity and multiplicity that these expressions manifest through, and how they show themselves. This is what I try to express in most of my work. Morality towards other sentient animate beings is required for True Freedom and Peace to manifest. 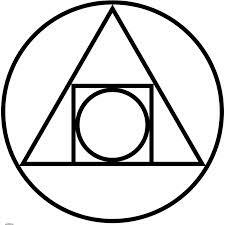 “Squaring the circle” properly in alchemy is represented this way above. This is how you transcend the carnal limitations of false living, and ascend to higher consciousness in Truth and Morality. Alchemy is done in the physical grounded reality where you can bring that unseen, metaphysical, “spiritual” understanding back as the Wisdom of Right-Action in the physical manifested world. To believe that higher consciousness is about spending your time in other realities and planes is folly. The work must be done here, on the ground. Higher consciousness is about being able to perceive, conceive, understand and navigate reality-universe-existence correctly. “Squaring the circle” in math, is represented as an impossible problem that man has claimed was possible until proven he wasn’t. I find this symbolic of man’s attempt to be god and make the law, trying make things possible even though they are not. That is what the squaring the circle represents in mans world. To invent things and try to hold onto them being so. This is how I see the Philosopher’s Stone, the “elixir of life,” the Quintessence. The Great Work creates the Philosopher’s Stone and progresses us to realize the “Spirit of Man” True Self Quintessence. This is the Stone of the Wise, the Philo-Sophia Stone, the Stone of the True Care for Wisdom, the Wisdom of Right-Action. It is all about doing Right, living in Truth and Morality. That is the True Self. That is the quintessence, the 5th Element we can embody and live, if we distill and make the Elixir with the Force of Will and True Care. The other 4 elements represent states in Matter (Water-Liquid, Air-Gas, Earth-Solid, Fire-Plasma and Wet, Dry, Cold, Hot), but also internal states of the psyche. Mastering the 4 psychological elements within leads to the further the development of the elixir. How is this Higher True Self seen? In the living of Natural Moral Law as the Way and Path, and greater understand of reality with an effect upon influencing positive change. Anyone can develop knowledge and discover this. No one may actually get the pure Philosopher’s Stone as the ideal perfected state since it is infinite, but we can continually strive to maximize our realization, actualization, and individuation of the infinite potential and value we have in order to create a more perfect stone as we progress, grow, heal, change and evolve in the inner and outer work. Alchemy, the Great Work, self-improvement, is something we do automatically in small degrees throughout life, because for most people, there is not an active engagement in the process. However, if we take the reins of self and actively choose to work on ourselves, we will exponentially grow and evolve beyond the “normalized” false standards. We are all on the path of healing, whether we realize it or not, but some choose to face their shadow and wrong-doings head on in order to actualize the True Self to greater degrees of alignment with the Higher Will of Natural Moral Law. Becoming the True Self is partly an automatic process, that is if we learn about evil and wrongs and choose to stop them, then the good within will reemerge, if we consciously choose good over evil, choosing right over wrong. As previously mentioned, the top of the triangle is action, the Wisdom of Right-Action, towards Moral living of the Higher Will. We reach the progressive achievement of higher realization with the actions and behaviors we engage into reality. They get us where we want to go, or get us away from where we say we want to go. Morality is what this is all about. We reach higher levels of consciousness and manifesting reality by living in Right, Good and Truth. This diagram has the additional dimension of Unity in the triangle that allows the True Self step to take its own position in later development, rather than be part of the Green Consciousness as in the NL Boundaries infographic. Even though the True Self is actualized with the Force of Free Will and True Care, it touches upon the “spiritual” infinite potential without ever becoming that infinite underlying force itself, never becoming “God” itself, but being in a harmonious divine relationship instead. The triangle is rising above the square matter, as the bridge between the Force of Will, Matter, and “Spirit”, as the elevated level of the free will in alignment with Natural Moral Law, as opposed to just free will itself in its boundary, the triangle of true self alignment with higher self is representative of rising above the lower nature, of the carnal flesh, and into higher order consciousness of Truth and Morality. The BLUE circle is Truth, Natural Moral Law, etc., attributes of the underlying ALL ONE “Spirit”. This is the Stellar Man, having consciousness at the higher order level while having our feet on the ground and doing the work here with that higher order consciousness understanding. So, instead of the throne of Self being the boundary in ROSE around the GREEN self area as it was in the NL Boundary infographic, it is instead the PURPLE triangle that is the Throne of Self and Bridge to the Higher Self, as the True Self in True Care, respecting the Boundaries of Behavior and Natural Law. The Triangle is the Bridge between the lower self of the smaller GREEN circle inside RED square matter, and the Higher Self of the larger BLUE circle. In this model, rather than the color spectrum analysis, the middle point between RED and BLUE is also PURPLE, such as mixing red and blue paint to make purple. The triangle has dual balancing positions, acting as a midpoint between the will of lower self and the Will of Higher Self, and the midpoint of color between red and blue as purple, between the world of Nature and the Higher Will “spiritual” source of Natural Law. To get to the PURPLE Triangle True Self, the True Care of the GREEN circle needs to be activated. The key is still represented by the GREEN self and Will, just as in the Boundary diagram. The Key to the PURPLE True Self is through the activation of True Care, GREEN. This key of the lower circle GREEN, brings the Self and Will into Harmony and Unity with the higher circle BLUE. This is represented in the PURPLE triangle of True Self Actualization. GREEN of True Care is at the center of it all again, for good reason. It is the generative force towards the Path and Way of Truth and Morality to Higher Frequency Consciousness, to Higher Order Consciousness Ways of living. This is what others have to say about the Philosopher’s Stone. I went looking into this after I made the initial discovery of the 4 shapes from the Natural Law Boundary Conditions infographic. Great article I really enjoyed it but I came to a completely different answer. My answer is the Isis crystal, oblesck , 1hydrogen atom and 2oxygen atoms… Etc…..but that’s only part of the answer,I came across an anagram which led me to another anagram which by the looks of things is gona lead me to another. The same with the emerald tablets I’ve come across anagrams in there too, each tablet has many “pages ” in it. Sorry to burst your bubble, but it’s all symbolism about self-knowledge, know thyself, consciousness, psychology, the knowledge that is invaluable in progressing in consciousness evolution towards moral truth, the real capital for higher, truer, realer living, which is the potential to become a higher, realer, truer (maa) self than we formerly were. Any “mystical” claims of alleged “truth” of “God” or some imagined literal “Spirit”, “Higher Self” “existing” somewhere else I have made in making this presentation and infographics was based on belief from a flawed conceptual model that I have since corrected. I think I used quotes on purpose to illustrate the symbolic aspect, but I have not reviewed my presentation to make sure. The symbolism still holds accurate if its understood as symbolism, metaphor and analogy to self-knowledge, consciousness, etc. Believe whatever you want about Isis crystals and what not, none of it is substantiated in reality. Peace. What is your approach to evil. I know evil when I see it and most of the time I’m disgusted by it but i respect it as a greater force. I myself am a being of the night and draw most of my power from the darkness and wild nature which I’m addicted to. My definition of good and evil might be distorted by conditioning. I know like I should keep it balanced but I struggle with evil, I don’t went to be polarised and focused only on being good, I feel like this is wrong and i’m gonna stray from the way to finding my true self. I’m proud and happy to say that I have found the philosopher’s Stone. Interesting take on the Stone. Essentially the same process for making the real thing. 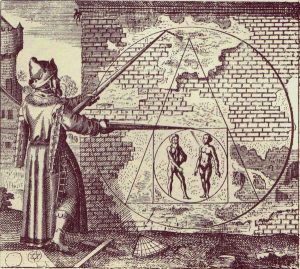 Alchemist’s used the laws of nature/spirit, and applied them to medicine making almost like a long form of meditation, where the intent and understanding of the practitioner were critical in successful operations. Turning base metal into gold was never the real goal…that was just the final test to confirm the Stone’s powers. In a nutshell, making the Stone was a ‘quickening’ of the evolutionary process – just like you describe by taking one’s own inner development on directly. Repeated breakdowns of crude matter, are then distilled and elevated, into finer and more subtle forms of the original. Rapid cycling through the birth/death cycle, to obtain the ‘essence’ of a said material. Gold is considered the most elevated (in material form) substance in existence on Earth, and has very many of those properties in actually reality, in medicine, industry, and art. I have done enough practical alchemy to know that creating the Stone is an incredibly difficult, albeit not impossible, thing to accomplish. It takes many many years of understanding to even attempt, and many years more to complete, if it can be done at all. As a practiced herbalist, the best I’ve accomplished is Aurum Potable – drinkable gold. NOT the same thing, but I can attest to its effectiveness – and considerable risk to ingest when not properly made. That alone took me years to attempt and complete. The Stone is far more dangerous to make….volatizing actual mercury can kill you if a mistake is made. I would recommend The Hermes Paradigm, as a great overview on the stone and the Mystical processes behind it.